Looking for a great dog school? American Idogs dog training academy: new Obedience, Fun dog training and canine good citizen class schedule for this month! American Idogs dog training academy is one of the best dog obedience training schools in Fort Lauderdale in Broward County, Florida. American Idogs also serves Plantation, Davie, Hollywood, Sunrise and the City of Tamarac residents of South Florida. Our activities are held at Sunview Park, located at 1500 S.W. 42nd Ave. Ft-Lauderdale, FL 33317. Come with your dog and learn the ultimate technique to train your dog to be the top of his pack. In this six-week program you will learn how to use the amazing dog-training tool that is known as a clicker. At the end of the program, you will know the techniques needed to have your dog listening to you each and every time you ask him/her to follow a cue or perform a trick. We work in a safe and gated 40,000square feet baseball field. New students must arrive at least 20 minutes before class to register. Payments are cash or checks. Ok, you have graduated from a basic class somewhere, now what can you do? Stop there or keep going? At this point you have probably realized that your dog seems to really enjoy working with you. Well, our students enjoy these classes as much as the dogs do. We have put together this amazing intermediate to advanced level class unique in south Florida. For over 3 years now we have offer this popular class to our students. This concept in now copied by other dog training schools! A sign that we must do something good here. We are using an entire 40,000 s.f gated baseball field to do our class not a small enclosed area. In this class, student are exploring many aspects of dog training which range from canine musical freestyle to trick learning and agility with some amazing props. This is an ongoing class and you can joint anytime. Our students and their dogs are enjoying it so much that many are repeat customers and some are now members of our dog entertainment show. NEW-NEW NEW Now Lure coursing on a safe and gated 58.000 s.f field. 2 days canine musical freestyle seminar in Hollywood Florida will be presented by American Idogs show producer Dan Ratay. 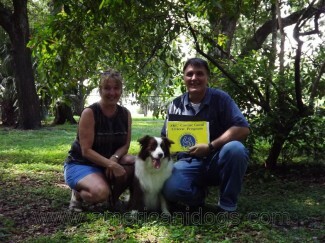 Dan is the first and only judge for the World Canine Freestyle Organization in the state of Florida. This seminar is for absolute beginner to Intermediate. $85 both days for auditors. What is Canine Musical Freestyle. What are the rules and moves you can do. How to work the ring to create you first routine. Could your dog be our next team member? Audition Day are coming soon. You may have seen American IDogs perform at the Marlin’s games or in any dog day and festival in south Florida. Now you can become part of the team. Do you and your dog have what it takes to become a member of the biggest dog entertainment show in America? If selected, you will receive free training as an Elite Team member, costume, compensation and free food for each official show. Owners and dogs with exceptional skills in obedience and or agility. Dogs must be less than 8 years old. Only amateurs without casting or company contracts are eligible to apply. Bring your furry friends. Info and registration for audition: 954-8-two-9-3274 begin_of_the_skype_highlighting . For American IDogs information or to sign up, call 954-8-two-9-3274 begin_of_the_skype_highlighting, fax 754-200-5772, or e-mail info@americanidogs.com. 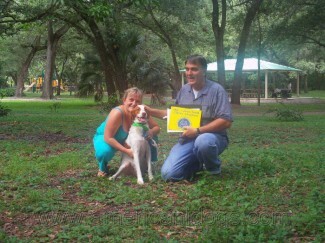 There is a Canine Musical Freestyle competition coming in Florida in April 2012. I know that some of you would like to go but need more practice in this dog sport. The first Canine Musical Freestyle Seminar of 2013 will be presented soon. This workshop is for absolute Beginner to Intermediate. -1. Is your music selection really the good one? 5 ways to tell. -2. The who, what, where, when and why of doing canine musical freestyle. -3. How choosing the wrong song hurts your chances for earning a leg without you knowing it. -4. What make a reward rewarding? -5. How to use the casino effect and the gradient reward system effectively in your training session. -6. Transform you dog into a canine musical freestyle dancer. -1. Composition of a routine. 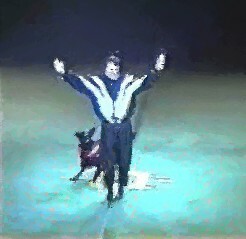 For most dog trainers the composition of routines or dance is the most difficult part. -2. How to transform your routine into a “WOW” routine. -3. Which tools to use and add to your training ‘’tool box’’. -4. What you must do immediately when creating a routine to get top scores. -5. The what, where, and when to do your moves in your routine. -6. Position and traveling line. How to work the ring to your advantage. -7. Free Secret tool to edit your music in a flash. This seminar is very interactive and participants will get involved in each segment. We will go from video and audio presentations, to practicing with the dogs. Participants are invited to bring their music selection on a CD (one or two songs only per CD) and costume or costume ideas and their dogs. 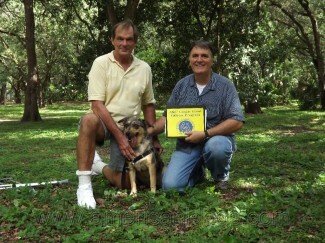 Daniel Ratay has trained dogs for over 20 years. Founder and producer of the national family dog entertainment show The American Idogs Show, he is also a member and the only judge in the state of Florida for the World Canine Musical Freestyle Organization. Daniel is known to bring your energy to different levels and put you out of your comfort zone to make you break the wall of your limitations. Subject to change based on number and knowledge level of attendees. Get ready for a great weekend! 8 team have already sign up for it so register now! For question and registration call: 954-8-two-9-3274 now! – All information was great and useful. hands on stuff with the dogs! – This seminar as given me tools to practicing and composing a routine. – Better idea of what and definitely how to train. The program exceed expectations! – Fantastic to have learned so many new things. This segment is for Beginner to Intermediate. This segment is for Beginner to Advanced. -1. Composition of a routine. 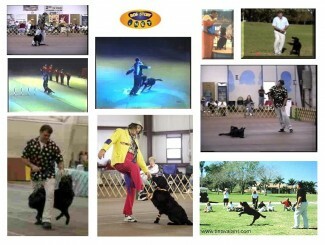 For most dog trainers the composition of routines or dance is the most difficult part. -2. How to transform your routine into a “WOW” routine. 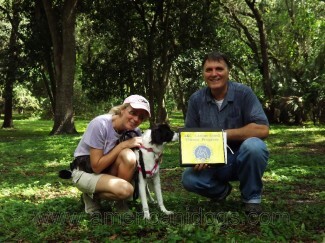 Daniel Ratay has trained dogs for over 20 years. Founder and producer of the national family dog entertainment show The American Idogs Show, he is also a member of and the only judge in the state of Florida for the World Canine Musical Freestyle Organization. Daniel is known to bring your energy to different levels and put you out of your comfort zone to make you break the wall of your limitations. _____ I understand that dog training is not without risk to my dog, myself, members of my family, or guests who may attend activities. I understand that injury may occur as a result of exposure to other dogs even if handled with the greatest amount of care. _____ I hereby waive and release Daniel Ratte and the Dog Training Club of Tampa (DTCT), their heirs, agents and assigns, from any and all liability of any nature, for any injury I or my dog may suffer, including specifically, but not limited to, any injury or damage which I or my dog may sustain or damage to any property I possess, including specifically, but not limited to, any injury or damage resulting from the action of any dog or the operation or failure of any training equipment. I expressly assume the risk of any such damage while attending any training activity or using the facilities provided. _____ In consideration of and as an inducement to the acceptance of my application for enrollment in this workshop, offered by DTCT and Daniel Ratte, I hereby agree to indemnify and hold harmless Daniel Ratte, agents and ;DTCT from any and all claims by any member of my family or any other person accompanying me to any club activity or while using the facilities provided, or surrounding area thereof, as a result of any action of any dog, including my own, any other animal, the operation or failure of any training equipment, or any other action or condition. _____ I hereby certify that my dog(s) is vaccinated in accordance with State laws, including a current Rabies vaccination. this. You would be terrific giving some lecture. Great we learned a lot! Superior teacher. G. Schillinger Satellite Beach Fl. By far the most impressive! A better television presence than Cesar! We offer exciting new dog training! 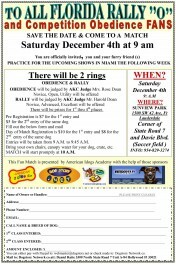 FIRST RALLY-O and COMPETITION OBEDIENCE FUN MATCH presented by AMERICAN IDOGS academy! Saturday December 4th. The weekend before the Miami Shows! AKC Judges. Come out to practice for upcoming shows or just for fun. Where: Sunview Park, (Soccer Field) 1500 S.W. 42nd Ave., Fort Lauderdale (near corner of U.S. 441 and Davie Boulevard). AKC Rally is a dog sport that is taking the nation by storm. It is a fun sport that any pet owner can do with their dogs. Pure breeds and Mix breeds are both eligible. 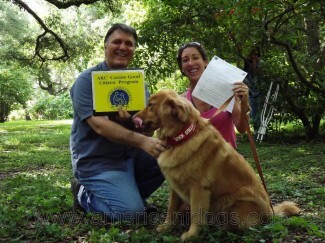 Rally is a great way to show off your dogs good obedience manners. Rally offers a good introduction into the world of AKC Traditional Obedience Competition and Agility. A Rally-O course course includes 10 to 20 stations depending on the level. Dog and handler team moves at their own pace. Each Sign has instructions of what exercise is to be performed. Examples; Sit, 360 Left or Right, Figure 8. Scoring is not as rigorous as traditional obedience. Perfect heeling is not required. Handlers are encouraged to talk to their dog and show a sense of energetic teamwork. Cost: $129 for five weeks. Sign up now! 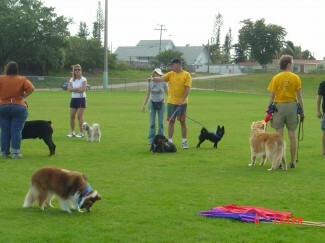 We offer exciting new dog training at Sunview Park and Central Broward Regional Park. Teach your dog what you want him to learn without prong or choke collars. Learn shaping and positive reinforcement techniques. At American Idogs Academy we will help your dog with one of his biggest problem…YOU! Yes, dog training can be difficult. It’s a lot like raising children in some ways – it requires some patience and doesn’t always happen as quickly as we’d like. So we will help you to teach him. And if you really take the time to try to understand how your pet thinks, you can make sure that your relationship will have a better ending. Don’t forget that if you learn what “makes them tick,” then the process of dog training will be much simpler and much more successful. And who knows? If you’re having amazing progress you could become one of our AMERICAN-IDOGS Elite show team member! For American IDogs information or to sign up, call 954-829-3274, fax 954-322-8764, or e-mail info@americanidogs.com. Payment can be by Visa, MasterCard, American Express, Discover, PayPal, or check payable to the Broward County Board of County Commissioners. April 2010 Great we learned a lot! Superior teacher. Copyright © 2019. All Rights Reserved Dogstory Network co. 2013.